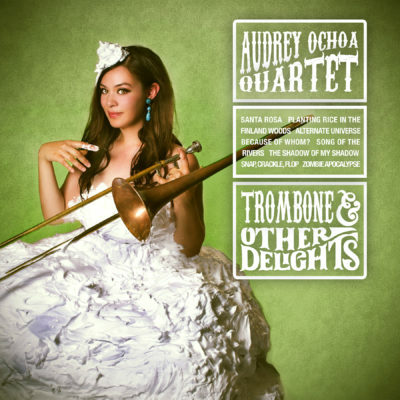 With a rich, full, warm, expressive sound, Audrey Ochoa is a breath of fresh air to the trombone world. Here she has assembled a stellar band of her Edmonton cohorts, playing a set of her won very thoughtfully written originals. Audrey has a gift for melody and groove, and delivers in her own soloing the emotional impact and creative heart of someone well beyond her years. A few years ago, my dear friend, the late, great Bob Florence paid me one of my most treasured compliments, which I will now pass on, with pleasure: Audrey Ochoa is FEARLESS! Kudos to Audrey and the entire band! I look forward to hearing more from all of you!